Shark Defenders is developing a logo. 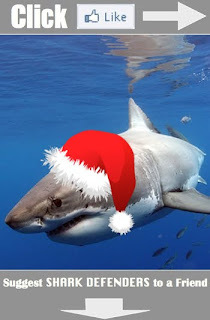 We've been very lucky in getting donations of high quality shark photos for use on Google Earth and on this blog, but we also want an image that defines the work of Shark Defenders, which is developing shark sanctuaries and supporting the proper management of shark and ray species worldwide. We'll eventually pick one logo that we'll use to represent us, but we'll probably make all of them available as stickers and buttons. This first logo is based on the idea that Shark Defenders are like superheroes. To get feedback on this logo (and all the other logos), we posted it on Facebook. Many of the comments said that this logo looks too much like a sports team and that it is too aggressive. 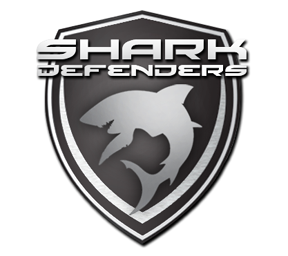 This logo was based on the idea that nothing represents the word "defenders" better than a shield. This one is my personal favorite and got a lot of positive comments on Facebook. It also garnered a few negative comments: It looks too much like a sports logo (Oakland Raiders, perhaps). It is too aggressive. It looks like a car logo. 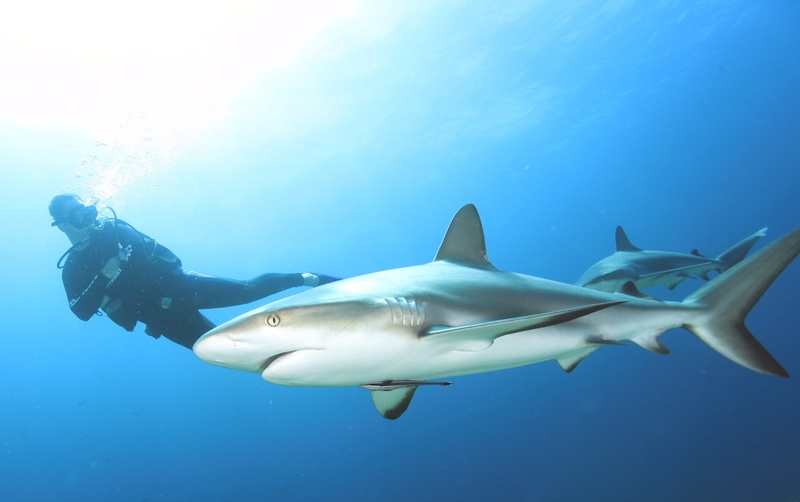 A lot of people who support shark conservation are divers. This logo tries to convey that, but we're probably not going to use it because we want our scope to be much larger than just focusing on divers. It will make a nice bumper sticker, though. Our Facebook supporters really liked this one. Our hope was to convey that we are a global coalition in support of shark conservation. At the moment most of our supporters are in Indonesia, Philippines, and Malaysia, but we are growing to the rest of the world. This is the same logo, but with the wording a bit different. So which one do you prefer? You can leave a comment on this blog or leave comments on our Facebook album. This story ran on Saipan's local news channel on Monday, December 20, 2010. A big thank you to Liz Wahl of KSPN 2 for posting the story to Youtube. Saipan, Northern Mariana Islands - Hawaiian State Senator Clayton Hee, the author of the bill that became the strongest anti-shark finning law in the nation, is drumming up support for a similar CNMI House bill pending at the Senate. 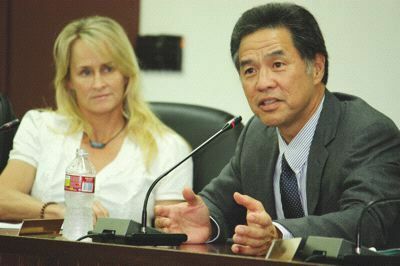 Hee and WildAid shark campaign project manager Stefanie Brendl met with Gov. Benigno R. Fitial yesterday afternoon to push for the enactment into law of CNMI House minority leader Diego Benavente's (R-Saipan) House Bill 17-94, which bans the sale and distribution of shark fins in the CNMI. 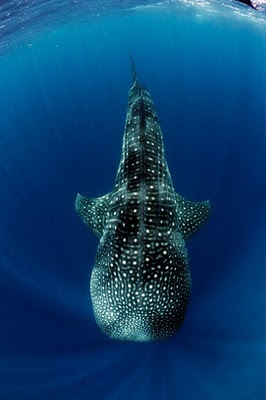 The whale shark is the largest fish in the ocean. A favorite of many nature lovers, a mature adult is roughly the size of a school bus -- weighing more than 20 tons on average and measuring up to ten yards in length. This massive stature and the fact that it is harmless to people make it a huge economic engine, generating millions of dollars in tourism activities for countries in the Pacific. 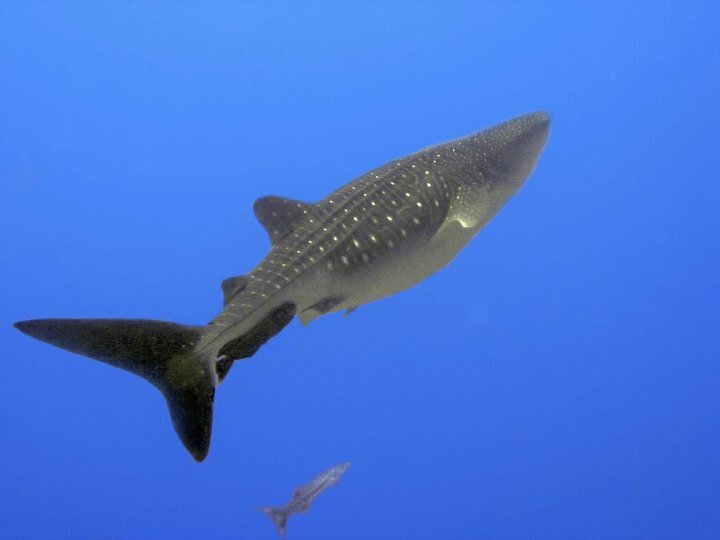 International representatives at the December meeting of the Western and Central Pacific Fisheries Commission (WCPFC) in Hawaii, for example, looked at measures that could have helped protect this animal, but couldn't agree on taking action. Sharks caught in high-seas fisheries, either intentionally or indirectly through so-called "bycatch," are among the ocean's most vulnerable animals. More than one-half of those taken in high-seas fisheries are classified as Threatened or Near Threatened with extinction by the International Union for Conservation of Nature. 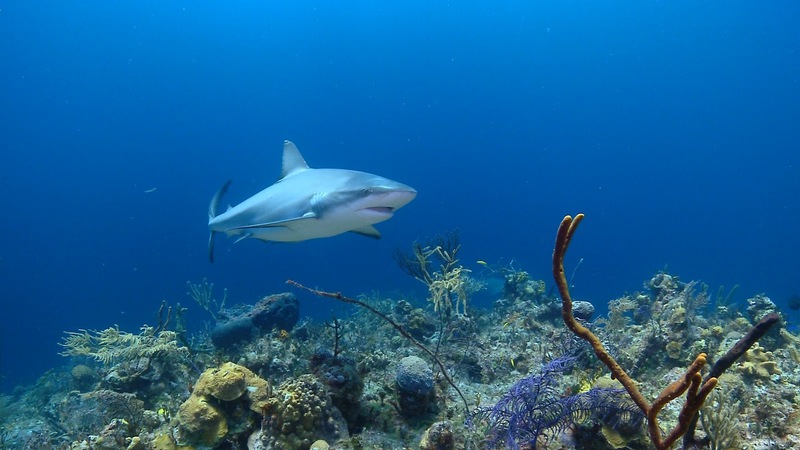 Indeed, their low reproductive rates make them particularly susceptible to overfishing in the face of increased demand for shark fins and other products. 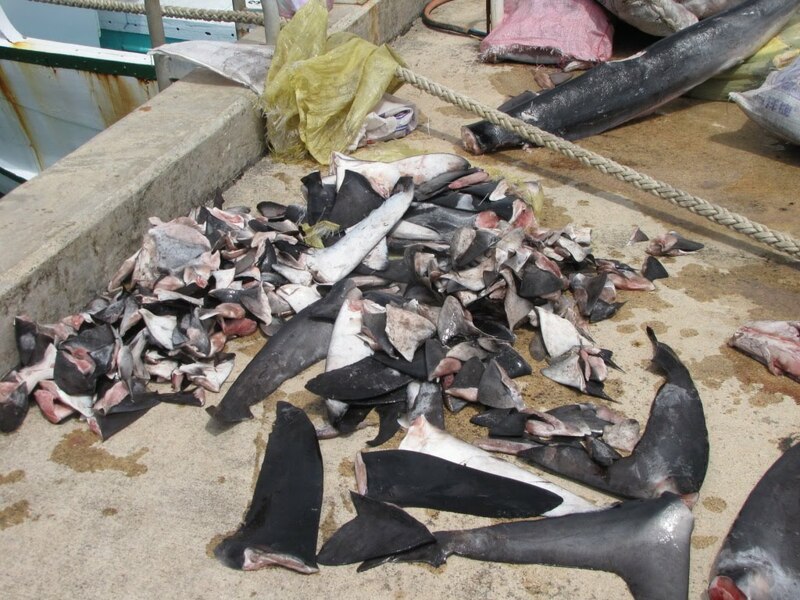 And this problem now imperils an array of species from hammerheads to whale sharks. The issue of whale sharks and purse seine vessels was taken up at WCPFC's meeting in Honolulu. Established by an international convention in 2004, the WCPFC is one of the world's newest and largest Regional Fisheries Management Organizations. It is responsible for managing highly migratory fish stocks over a swath of ocean that covers nearly one fifth of the Earth's surface. Its membership ranges from small island states like Fiji and Palau to major economic powers such as China, Japan and the United States. But what makes the WCPFC rather unique among other fisheries management organizations is its charter. WCPFC does not only look at sharks. With almost 60 percent of the world's tuna originating from the waters of the western and central Pacific, these fish are critical to the livelihoods of Pacific peoples and states. WCPFC also addresses how the developing countries of the Pacific, whose waters are home to these species, can receive equitable benefits from the sustainable harvesting of fish as well as to address the unregulated fishing and the under-reporting of catch in their waters. Even though no action was taken on whale sharks at this meeting, it is important to continue to look hopefully to the member countries of the WCPFC because so many of them -- most notably leading Pacific Island countries -- have embraced the future of the oceans that surround and sustain them. The waters of Palau, for example, an area of the Pacific the size of France, are a sanctuary for sharks and all marine mammals. Not surprisingly, the healthy reefs of Palau, featuring a complete ecosystem rarely found elsewhere, attract tourists from around the world. It is this example we hold up, and hope that all countries embrace. Sharkdiver.com donated this amazing photo of a Great White Shark (Carcharodon carcharias) at Isla de Guadalupe off the coast of Mexico in the Pacific Ocean. Thank you! 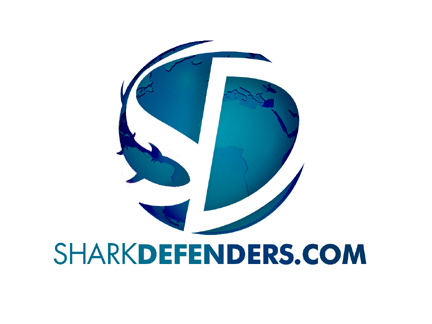 If you would like to help out Shark Defenders by donating royalty-free photos to our conservation efforts, please visit this link. Saipan, Commonwealth of the Northern Mariana Islands - According to the Marianas Variety, last week the Senate of the Northern Mariana Islands passed an amended version of an NMI House bill banning the sale of shark fins. The House bill proposed a first-time fine from $5,000 to $15,000 with no jail sentence. The Senate bill imposes a fine from $5,000 to $30,000, with a six-month jail term. The bill now heads back to the NMI House, and then if approved, to the desk of Governor Benigno R. Fitial. Currently there are no shark protection measures in the NMI. The Northern Mariana Islands are a chain of 14 volcanic and limestone islands along the Mariana Trench in the Western Pacific. 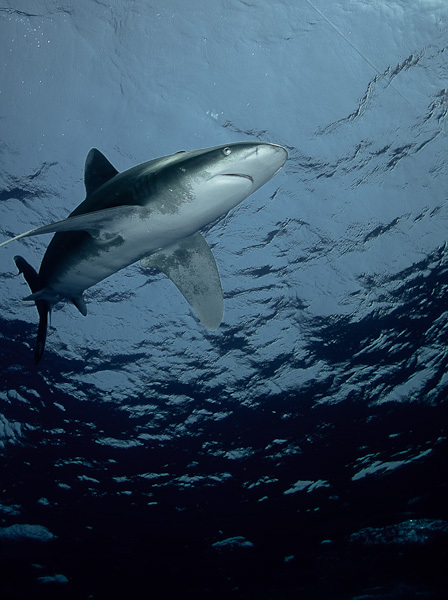 These photos of an oceanic whitetip shark at Elphinstone reef in Egypt's Red Sea were donated to Shark Defenders by Christophe Jurdan for our use in educational materials, particularly the shark layer we are producing on Google Ocean (viewable on our blog or by downloading the Google Earth program). 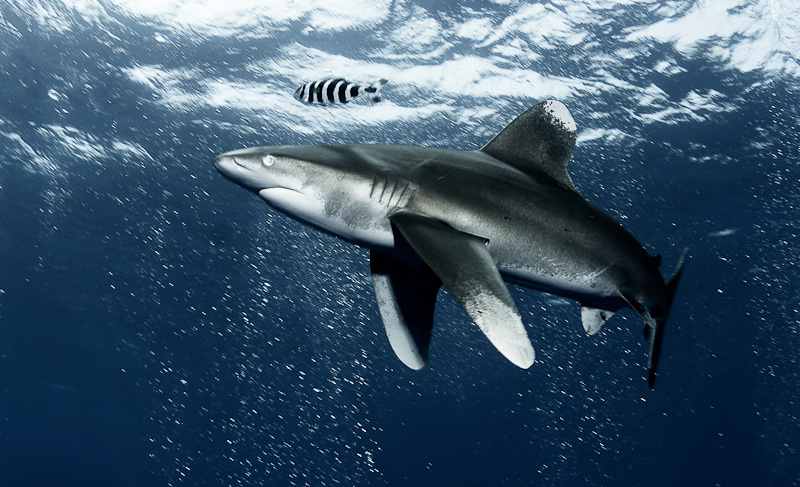 There has been a lot interest in the oceanic whitetip sharks of the Red Sea lately, so I thought it would be timely to share these photos on our blog. 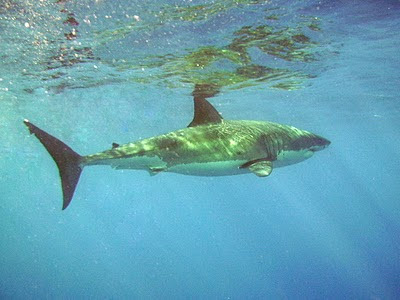 An oceanic whitetip shark is being blamed for biting several tourists in Egypt, including a fatality. These recent shark encounters have once again shone a light on the nearshore interactions between humans and the largest species of sharks. These recent encounters have resulted in a media frenzy and literally thousands of newspaper stories in print and online. 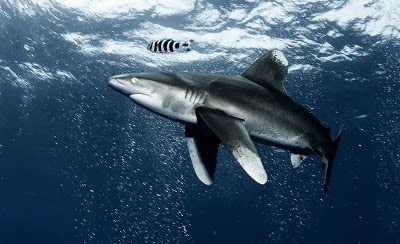 If it pans out that an oceanic whitetip was indeed involved in these interactions, the fatality would be the second unprovoked oceanic whitetip fatality in recorded history. While oceanic whitetips are suspected culprits in hundreds, if not thousands, of at-sea disasters, there has only been a single case of one being involved in a fatality. 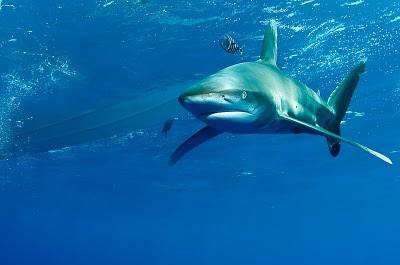 In the meantime, humans have killed millions of oceanic whitetips for just their fins, which is used as an ingredient in a luxury soup in some Asian countries. As a result of this overfishing, worldwide this species is assessed as Vulnerable, but in the Northwest and Western Central Atlantic it is Critically Endangered. Scientific data has shown that populations in the Gulf of Mexico have declined by 99.3% since the mid-1950's. The recently concluded meeting of the International Convention of the Conservation of Tuna voted to ban the fishing and sale of oceanic whitetips and and six types of hammerheads. This is good news for a charismatic species on the brink of extinction. 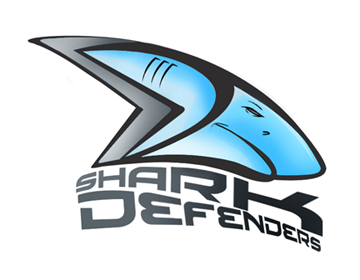 To encourage Facebook users to become a fan of the Shark Defenders Facebook Page we are going to post this logo into our Share This! tab. Thank you to Christophe Jurdan for donating the photo. 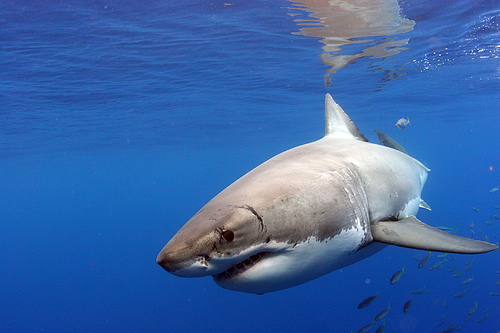 The great white shark (Carcharodon carcharias) is the world's largest known living predator. These sharks are intelligent, highly inquisitive creatures, and contrary to depictions in popular media such as the movie Jaws, do not hunt humans. Their diet consists mainly of fish, pinnipeds, and seabirds. 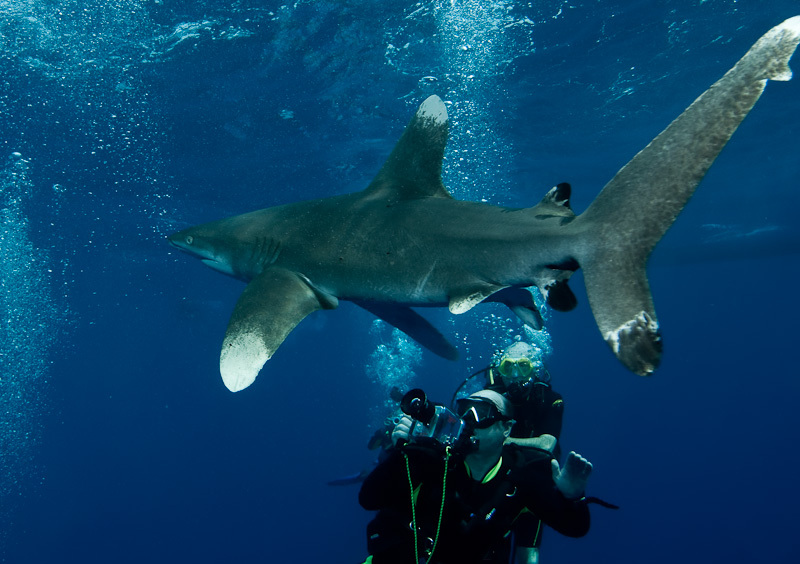 Christophe Jurdan met this oceanic whitetip shark (Carcharhinus longimanus) during his decompression stop at Elphinstone Reef, Egypt, Red Sea. Divers for sharks hasn't used this photo for any of our materials yet, but I'm sure it will make an appearance soon. The oceanic whitetip shark is assessed as Vulnerable by the IUCN Red List. The main threat to this species is overfishing. If you would like to help us by donating royalty-free photos to our conservation efforts, please visit this link. 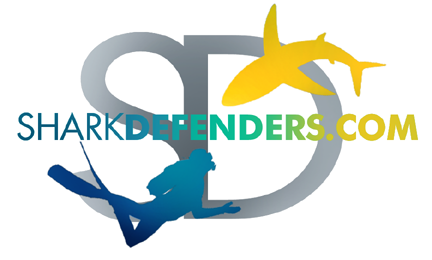 This is the first post on the Shark Defenders blog. Stay tuned! 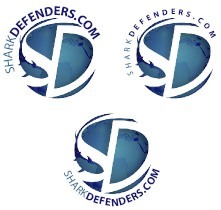 In the meantime, please "like" us on the Shark Defenders Facebook Page.